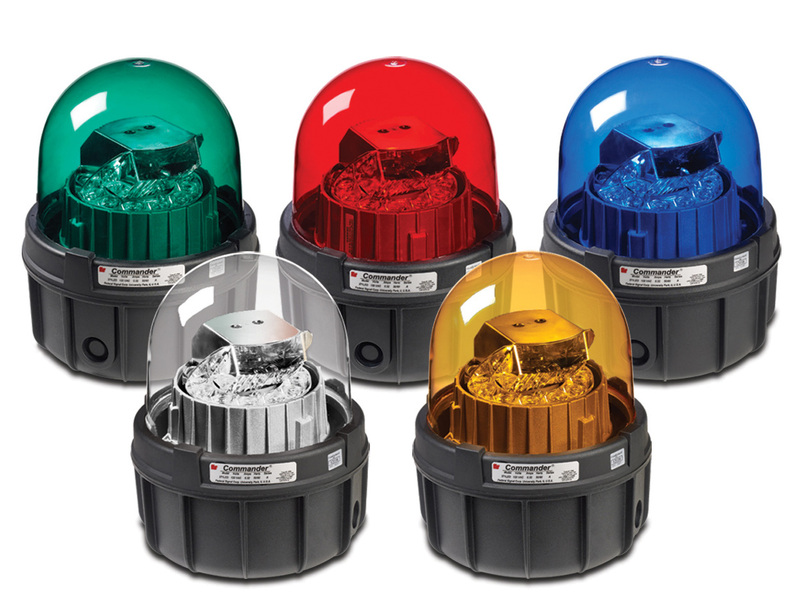 Model 371LED warning lights have an array of 12 powerful LEDs arranged below a reflector. The reflector focuses the light from the LEDs into a high intensity beam and rotates 360 degrees. The LEDs, reflector and motor module are sealed under a polycarbonate dome which completes a water-tight, dust-tight enclosure. The 371LED base features electrostatically applied black powder paint for greater corrosion resistance. Wiring can be routed through the pipe-mount opening in the bottom of the light or the two side knockouts can be used for side entry wiring. Installation can be surface or 1-inch NPT pipe mount. An optional 22.5º reflector is available for ceiling mounted applications. Optional wall and corner mount brackets are available.